Please don’t ask me to help you think of names for your new pet or baby. Today I officially realized I can barely handle choosing names for my own recipes! I was sitting here deliberating…should this be called Fudgey Carob Hemp Butter, or perhaps Carob Hemp Spread? 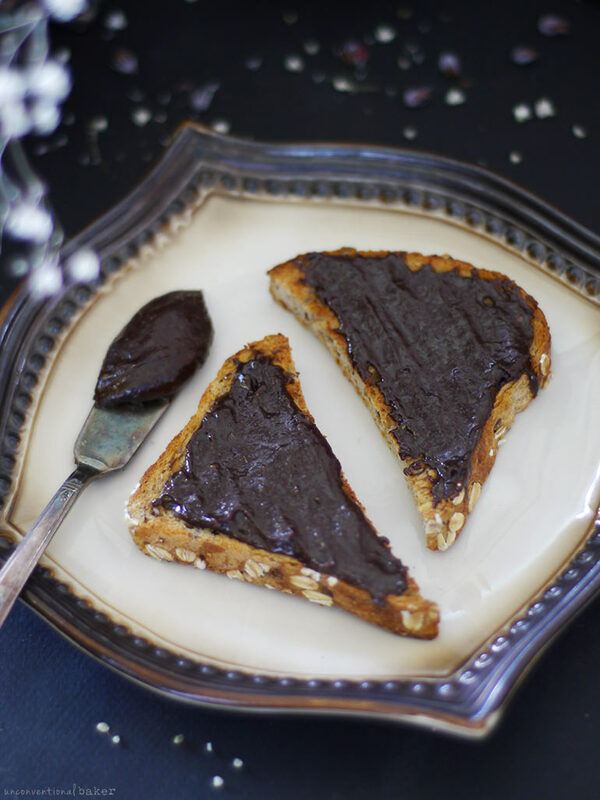 Maybe Nutella-like Spread without the Nuts, Sugar & Dairy…or no, how about Chocolate Caramel-like Spread? No no no wait, Fudge in a Jar, that’s it! I think all of those descriptions are more than fitting, to be honest. I was kind of partial to Fudge in a Jar, but figured that might sound somewhat confusing so yeah, let’s not get into pet or baby territory ? But holy cow, this spread — it’s unreal. Like hide-it-away-from-me-lest-I-eat-it-all-in-one-go kind of unreal… (and, ahem, I may or may not have finished the jar in 2 days… ?). 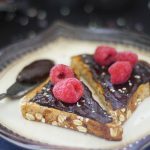 I didn’t make this because I was missing my nutella (is it even possible to miss nutella with so many beautiful healthier recipes out there these days…?). Nor do I have a shortage of chocolate in my pantry. Nor is there even cacao in this (though there could be if you like). But I somehow found myself making this — just felt like having fun with some hemp — and ended up with something really deep, decadent, and delicious. The hemp seeds give it a slight bitter-sweet flavor. 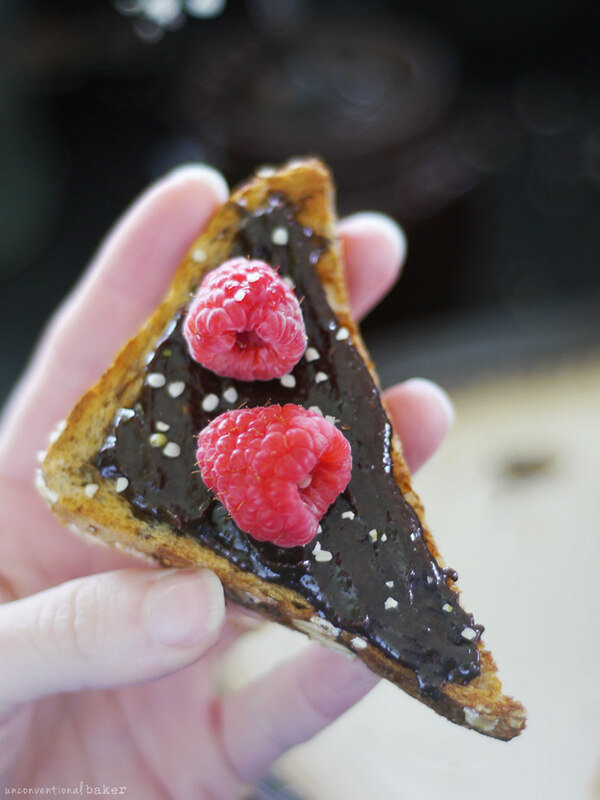 Kinda like a grown-up, adult version of Nutella (though kids would love it too, I’m sure). And swapping carob for the more traditional cacao adds a note of delicious caramel to the mix. And caramel = winning. 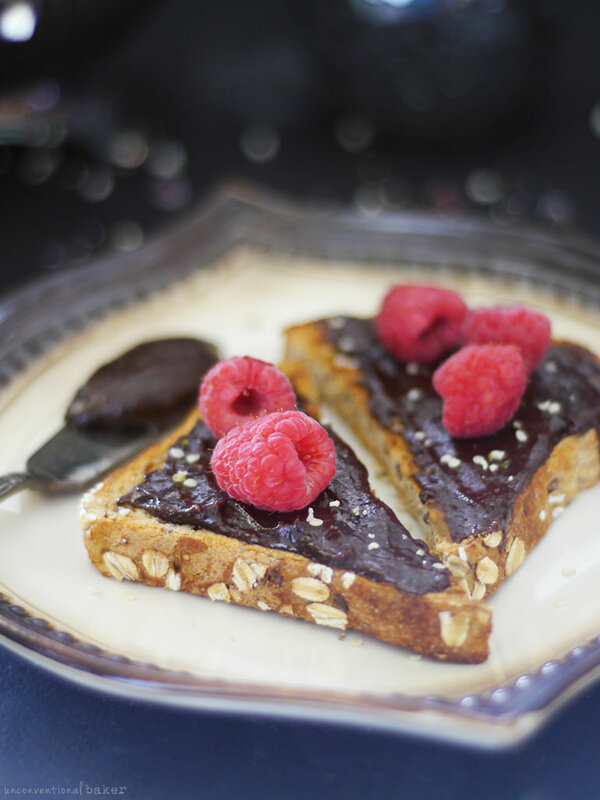 I have to fess up, the toast featured in these pics isn’t mine — I made it for my husband with his glutinous bread. I don’t eat bread these days, but rice cakes are somehow just not very photogenic I’m afraid, even though they are the perfect companion for this spread. Though if you’re not into toast or rice cakes, this is equally delicious on a spoon straight out of the jar — I can vouch for that ? I actually used to buy a delicious chocolate hemp spread from the health food shop. It cost about $10 for the teensiest jar. It was wonderful. But despite the fact it was a healthier alternative, it still had some ingredients I wished it didn’t have… That’s one of the troubles I know health-food producers face — in order to extend the shelf-life of products, some ingredients must be added or compromises tend to be made. For example, maple syrup apparently shortens the shelf-life of many products, so other sweeteners are often used instead. I still buy the ready-made products for convenience sometimes, despite wishing the ingredients list was shorter. Other times remaking things at home feels more right — especially when the remake is effortless. Making this at spread was a total breeze — a handful of ingredients and less than 5 minutes later I had a most delicious spread. No fillers or compromises. Just pure goodness. Hemp hearts are such a wonderfully nutritious bunch of little seeds. 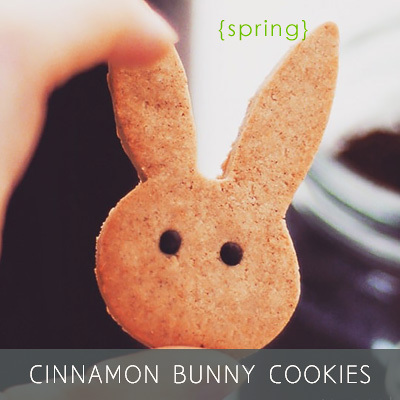 I’ve been feeling lately like trying to incorporate them into more desserts. I started with my all time favorite and cult classic around here: the raw hemp chocolates (if you haven’t tried those yet, put them on your to-make list!). 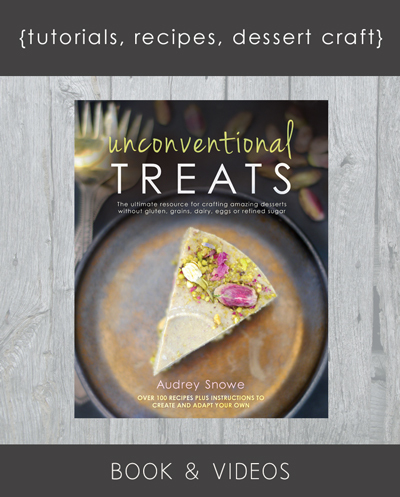 There’s a raw hemp cake and ice cream in my book Unconventional Treats. And there are these decadent spicy raw carob hemp bites. And now there’s this spread too. If there’s one thing in common among all those recipes, it’s that hemp seeds clearly love chocolate. Or chocolate’s handsome cousin carob! So here’s a delicious quick and easy way to celebrate it with a decadent fudgey spread. 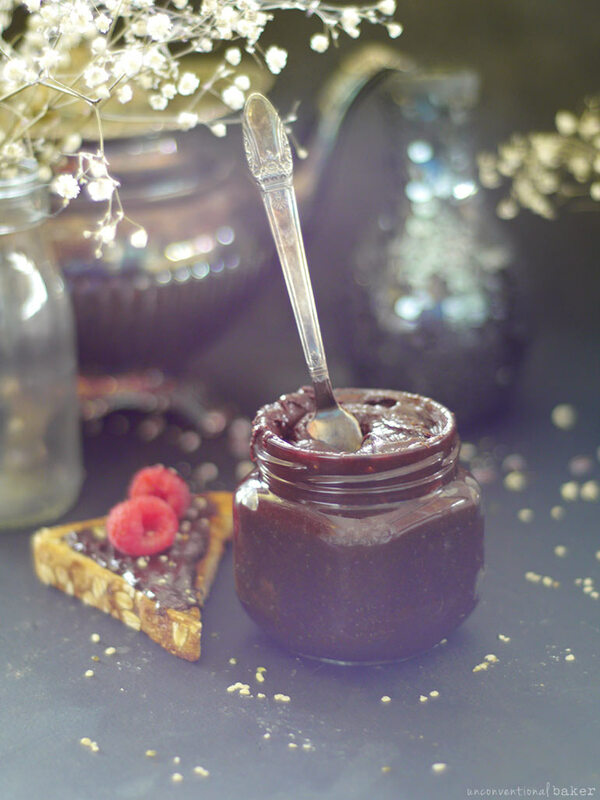 A slightly caramely, rich fudgey hemp butter spread for when you’re craving a healthier version of Nutella. 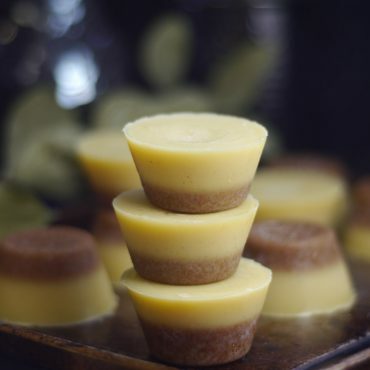 UPDATE: optional — for a creamier version with a twist, add 1/2 a banana! Process all ingredients together into a smooth butter consistency in a food processor (Edit: process on the gentlest setting and don’t over-process — you don’t want the mixture to heat up in the process or else the sweetener in it will seize up). Transfer into a small glass jar and refrigerate when not in use. Enjoy! Note: the spread will firm up a bit when refrigerated. Add a bit more water to the recipe for a thinner consistency if you like. *Feel free to use cacao powder instead of carob for a chocolatey version. You may need to add a bit more sweetener to taste, as carob is naturally sweeter than cacao. Hi Adelle, it sounds like it got overheated processing, which makes the sugar in the honey crystallize and the fat separate. You can try two things next time — add the honey / sweetener in last. And process it for a much shorter time so that the mixture doesn’t heat up. Just a quick question: was your honey runny? Or a bit on a thicker side? If it was thicker, I wonder if there just wasn’t enough “liquid” for the mixture to process easily and so it heated up in the process. If that’s the case, you can try adding a bit of warm water to help things along. Thanks for the tips. Yes, the honey was runny. But my kitchen was hot, we’re having beautiful weather here. I’m going to try again….I can’t let ‘nutella’ get away from me that easily! Good luck with it. I’d like to hear how it goes. I tried this again with maple syrup….after 2 failed attempts with honey :(…..and it TOTALLY worked!! Now I get to spread my ‘nutella’ ;) Delicious! Ah, well there you go. I guess it doesn’t work we honey then — I’ve never tried it, but now we know :) Glad it worked in the end. I made this and it was difficult to spread to begin with and once refridgerated, I can basically cut a piece off and set it on top of my bread! I followed recipe but did not have a vanilla pod so put a bit more extract. Any idea of how to fix this next time or what I may have done wrong? Hmmm… that’s interesting. 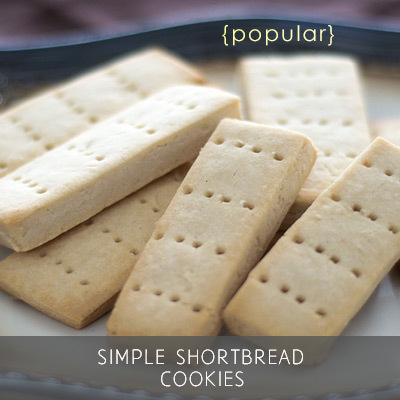 It does firm up a bit when refrigerated, but it shouldn’t be difficult to spread from the get go. One thing I can think of is if it was somehow over-processed — sometimes if the mixture heats up too much in the processor, the sugars (maple) start to “cook” and firm up. Also sometimes the alcohol in extracts can make a mixture seize up (thought that’s rather rare). Alternatively, you can just add a bit of water to the mixture to thin it out some — that should do the trick. No harm in trying :) You can go with dates and a bit of water. I think the maple adds a good dose of sweetness. 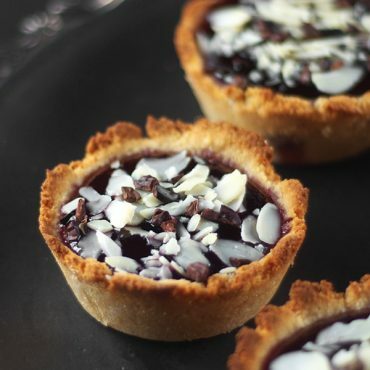 You’ll need a lot more dried fruit to achieve the same effect, and so the flavor and texture will change somewhat too. But I can see it working. Thanks — my doggies go by many names (indicator of the issue at hand? ??) — good thing they don’t seem to mind. And yes, this on rice cakes… ? 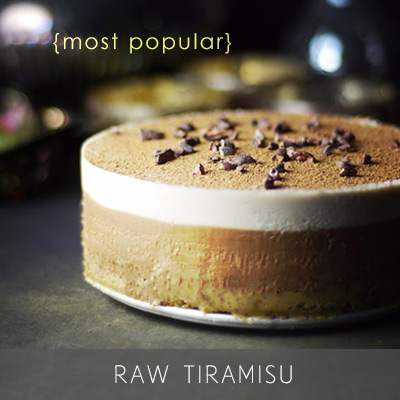 I share your challenge of naming recipes :P Whatever you call it, this looks and sounds completely delicious! 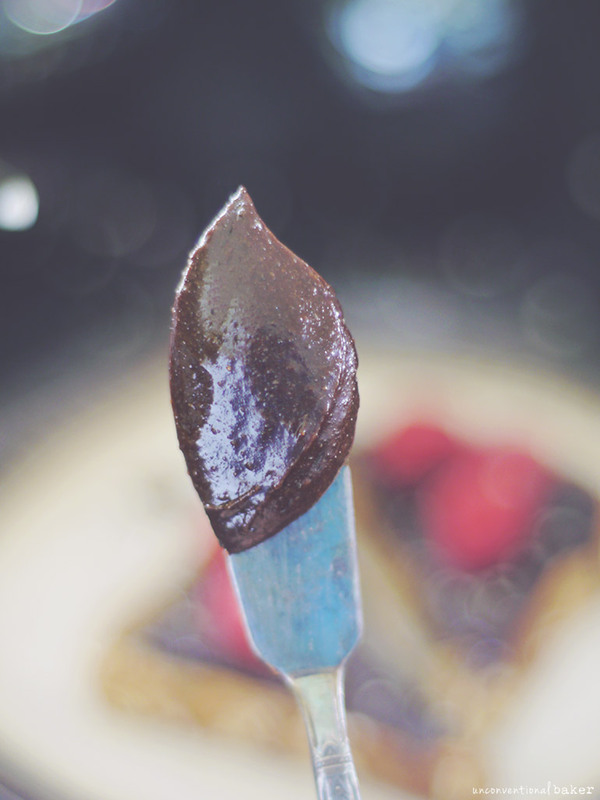 I love carob. 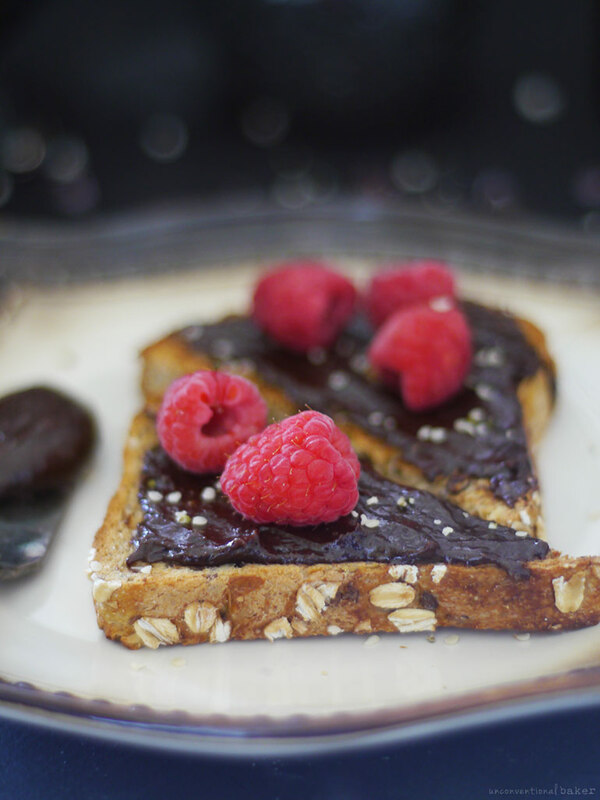 One of my personal favorite recipes is my chocolate hemp butter! Yeah, I remember us having that discussion :) — yours looks delicious!